hey mister b, when did you take a photo of pac-man? 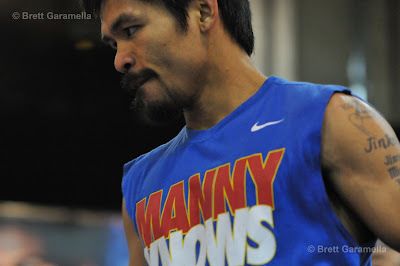 Hey Pete, I was behind the scenes for about a week during Pacquiao's last fight in Dallas. He's a cool guy ... I was very impressed.